Embarking on a project with a new client is exciting business. But before you start, you want to make sure you’re both on the same page. You’re talking kerning and pantone swatches, they’re throwing in words like asymmetric shock and back-end ratios – in short, if you don’t get versed in each other’s language, the project is likely to quickly become a hot mess! Besides, you need to establish the foundations for a thriving professional relationship. To do this, you have to put the client at ease, prove your value and reassure them that you’re the best business for the job. Basically you want to show off how awesome you are – so the client feels secure about their decision to hire you. All of this is part of the client onboarding process. Part 5: When is client onboarding complete? Why are first impressions in business so important? Because they can make or break a budding client relationship. The client wants to see they’re working with an experienced, professional team that’s highly attuned to their needs and the agency wants to put their best foot forward to win further business. Meet clients in a place of power. This should be somewhere you feel comfortable, and have some control over the elements of the room. Arrive early, prepare the space, and figure out how to work any equipment. Make sure you have everything you need set up beforehand – a whiteboard? A converter for Mac to PC? Good coffee?! Set the tone from the get-go. Show the client you’re in control by making eye contact, introducing yourself and shaking their hand. Take a few minutes to get comfortable and establish a rapport. Dress appropriately. You might be a creative, but rocking up to a client meeting in jandals isn’t a great look. Be prepared. Before the meeting you should have spent a certain amount of time familiarising yourself with the client, their business and industry. Focus on their needs. Often in an initial meeting, it can be easy to get carried away selling your services as the best in the biz. But bringing your attention back to the client is a surefire way of getting their approval. Start by establishing the client’s pain points. What are they looking for? What is the problem they are looking to solve? Ask good questions and listen! When you first win over a new client, it’s easy to want to jump right into a new project – but before you do any work, make sure that you’ve created a project estimate, sent it to the client for approval and have received, in return, the promise of payment for your services. First determine whether you quote based on staff rates, project rates, or time. Then use an online quoting software to create your quote. You’ll be able to easily send it to the client and convert it into a job once it’s been approved – all from one place. 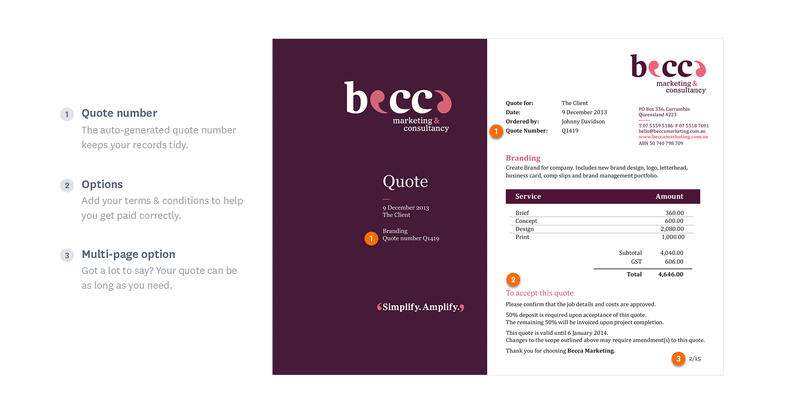 In WorkflowMax, Xero-owned all-in-one job management software, you can create beautiful, professional branded quotes in just a few simple clicks. A cloud-based software will help you manage quotes more easily too – for example if you need to edit certain details or find an old quote for a similar job. Client details. Client name, address and contact details. Project information.The project name, and a brief description. Quote number. Your system might generate this automatically, but this helps keep your quotes organised and makes finding them again a breeze! A 'valid until' date.30 days starting from the quote date is standard, but it's worth checking out the norm in your industry. A visible breakdown of phases and costs. Separate out individual tasks as well as any external costs for complete transparency. This will help you gain the client’s trust. Your company’s branding. This might be your logo, tagline, company name and address/contact information. Custom information.For example, any terms and conditions you want to highlight upfront. Since this is a legal area, you may want to talk to a lawyer or use a T&C template. You want to make it as easy as possible for your client to say YES so give them the right information in a visually appealing, highly legible format. Preparing a client contract is a crucial step before you begin any project work. Without getting into the nitty gritty of contract law, this section provides an overview of what you need to know when it comes to your contract or customer service agreement and format. Do you want to receive a portion of your fees up front? Or do you prefer partial payments throughout the project? How will you be compensated if the project dissolves halfway? Perhaps you’ll stipulate a cancellation fee if the client changes their mind? How many revisions will be allowed? What are the terms and conditions around confidentiality and asset ownership? Request a meeting with a lawyer to draft a robust contract and when you’re satisfied, make sure to go through the contract with the client point by point, so they have full understanding of every detail. Never let them sign without reading the fine print! This is for your own protection as well as theirs. Now that the quote has been agreed upon and the contract has been signed, it’s finally time to get to work! The kickoff meeting is the first meeting you will have with the client and your project team. This is where you agree on how to work together effectively, discuss ways of working, and preferred communication tools. Prepare a kickoff meeting agenda to help you stay on track during the meeting. If possible, circulate it to the client and the wider team beforehand, so everyone knows exactly what to expect. This will also help establish your leadership and authority. Introductions - Introduce yourself and the project team, including roles and responsibilities specific to the project. The client should do the same. Company Background - Get ready to knock the socks off your client! Prepare a showreel of appropriate projects. See that glint of excitement in their eye? Score! Client Overview - This is an opportunity to understand more about the project background and hear about the client’s business problem straight from their perspective. Can they provide any additional relevant information that will help the project brief? Project Objectives - Here you can delve a little deeper into the project goals. What are the KPI’s? How will you measure and evaluate success? What should the project accomplish? Project Timeline - Present a high-level project plan, breaking down the project into major phases and milestones. Do all stakeholders agree with the proposed flow of activities? sequencing of activities and any dependencies that may impact the timeline are clearly stated. Expected Costs/Invoicing Procedure - This section isn’t always included or necessary in the client kickoff meeting – some agencies may prefer for it to be reserved for a discussion between your account manager and the client – but we have added into this section just to be thorough! Communication Plan - How will you work together effectively, share updates and collaborate during the project? How frequently will you meet? 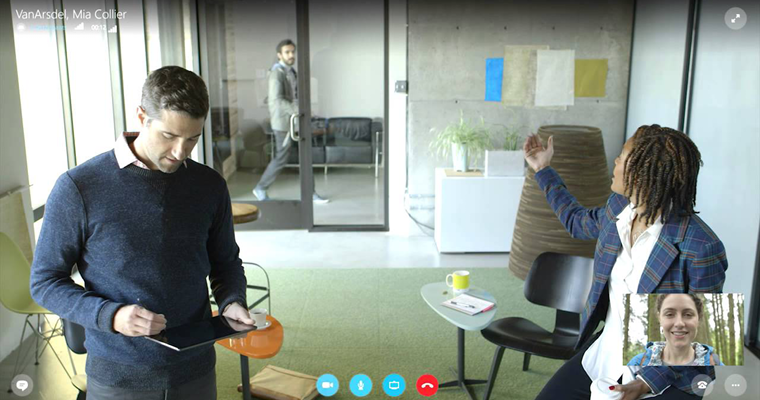 Do these meetings need to be physical, or can they be remote? You might have a preferred set of tools and apps you already use – make sure you get agreement with the client on what you’re going to use and how you’re going to use it. Most clients should be well versed in these kinds of collaboration tools, but if it’s new technology be mindful that they might need support and you should show them enormous benefit they’ll gain in using the tools! 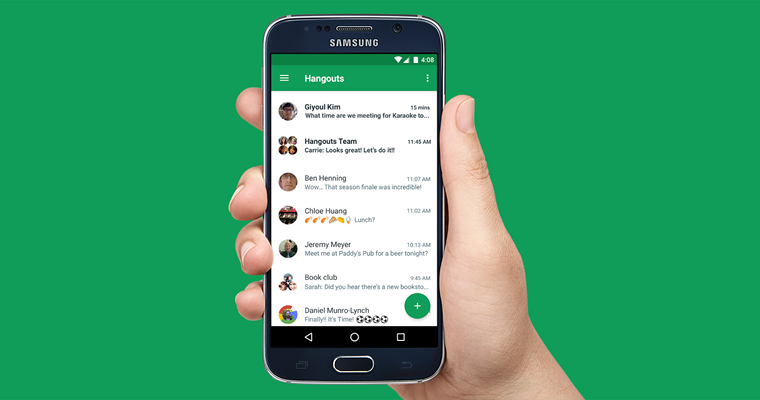 Pros: Create private or public channels for conversations. Easily make use of direct messages or calls. Drag and drop to share files. Cons: A lot of restrictions in terms of what you can and can't do with the free app. Pros: Pretty ubiquitous. Get started for free. Good for video calls and group chats. Cons: You can’t “tag” people in conversations and file sharing can be somewhat clunky! Pros: Get started for free. Easy to set up (just use your Google account!). Even the basic version allows for video conversations with up to 10 participants. Cons: File sharing is a little bit clunky. 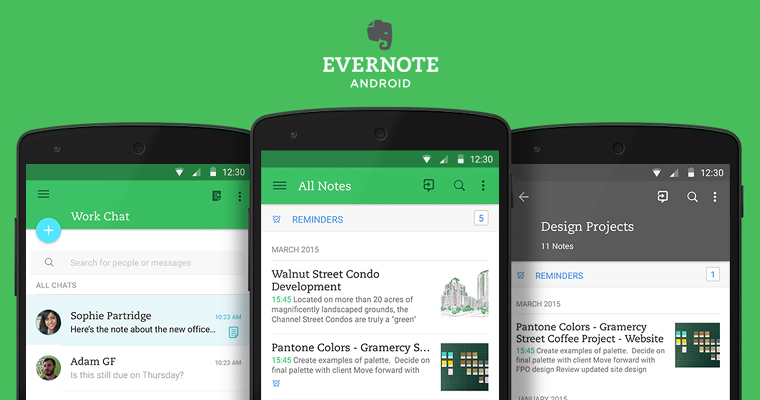 Pros: Organising ideas is a breeze with notes, tags and notebook stacks. Handy browser extensions allow a seamless sync. Cons: You pay for what you get. Premium features have a hefty price-tag. 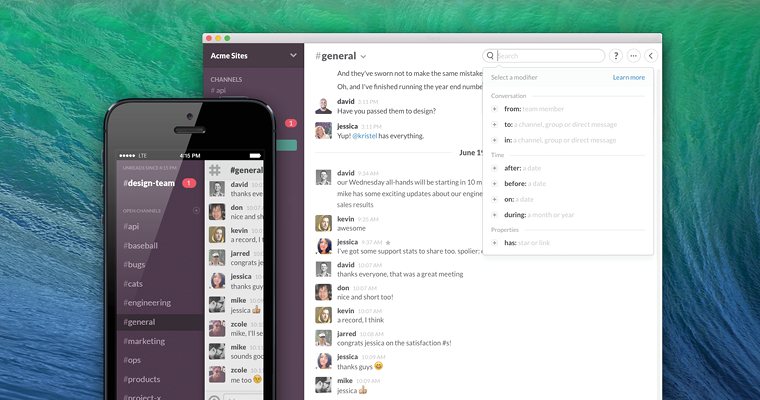 Pros: Great for teams who like to work visually. There are a lot of tips on the blog on how to get the most out of Trello, including customisation options. 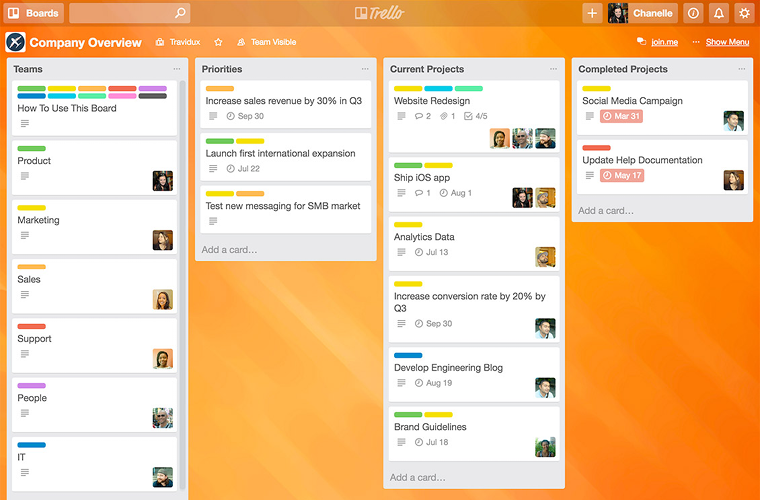 Check out the Ultimate board of Trello tips & tricks, or Beginner Tips For Using Trello. Cons: Communication can be limited to comments format. 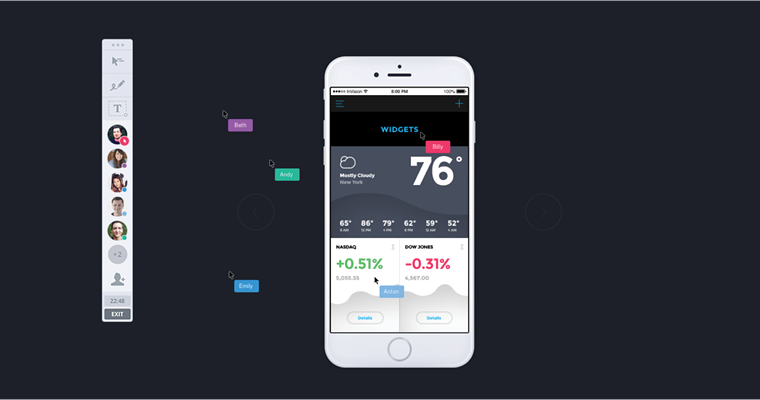 Pros: Quickly and easily create interactive mockups for your designs. Share these mockups with your team or clients. Get feedback for all your projects in one convenient place, hold conversation threads, moodboard, share, and easily access all your project assets. At the start of the this chapter we discussed “90 days” as a general guideline for the client onboarding phase, (depending on the size of project and project timelines of course). As the 3 months near a close, you should schedule a one-on-one with your client with the aim of gathering feedback on the project process and relationship so far. This could be a phone call, an informal coffee meeting or even dinner, depending on who the client is and what the circumstances are! End on a positive note, reiterating how much you’re looking forward to the next stage of the project and relationship. Once you’ve done all of the above, the onboarding process can be considered to be completed and it’s time for your team to get stuck into the rest of the project and produce amazing results!